Duke basketball coach Mike Krzyzewski didn't want to look ahead to the future immediately after his defeat against the State of Michigan in the top 8 NCAA Tournament on Sunday evening, March 31, 2019. Zion Williamson was asked whether the Elite Eight loss to the State of Michigan was his last match in Duke uniform. Michigan State defeated Duke for the final in the eastern Region to reach the Final Four since 2015. I didn't write any of the above. Artificial Intelligence did. It might not seem that impressive as it is simply a statement that Duke lost the big dance. However, what is impressive is the article above is a tiny excerpt from a much longer 1000-word article that Artificial Intelligence wrote. The focal point is how Artificial Intelligence scoured the internet for reasons why they lost only five minutes after the game ended. AI-Writer – an automated written content creation and curation service to help with writing blogs, research papers, articles, and more. AI-Communicator – a personalized audio and video broadcasting service using brand approved ambassadors and talent. AI-Signature – preventing AI deep fakes that could maliciously hijack your brand, ruin your reputation by using the same AI technologies above, but making sure it's human and agency approved and the consumer of the content knows it has been given the originators thumbs up. All thanks to a San Francisco startup company called Blocksigned. AI-Writer by Inventor and Founder Fabian Langer didn't set out initially to create an AI wordsmith. "I just wanted to make money on the internet without a lot of manual work," Fabian admits. "I saw the success of advertising online which was based on making content. So I thought, what if I created a technology that automated content." Hear the entire his AI-Writer backstory on @thebotbabybook podcast. Note AI-Writer doesn't automatically do everything without instruction and slowly take over the world. Humans have ultimate editorial control via a Wordpress plug-in or Chrome extension. Humans can change the order of the paragraphs, words, delete, add their own, or simply use the content as research for the human to write their own article. AI-Writer doesn't get its power from plagiarism. AI-Writer protects intellectual property by making sure it cites any content – blog, article, or RSS feed it learns from while including every URL link. If the human editor is still concerned about originality, they have the ability to change the percentage of rewording. It begins with a minimum of 54% of rewording to a full 68% at its maximum ability. Why can't it offer 100% rewording? Every thought, sentence, or idea starts with a core idea. You can't go 68% left without going right. So content needs to hold a shape of the context that needs to be said. Fabian found that 54% is that happy place between originality and getting the point across. Writing sports articles wasn't AI-Writer's first focus. This month Esquire Singapore magazine debuts the six articles that AI-Writer contributed for its April 2019 “AI” issue. AI-Writer also wrote its own letter from the editor in the April Issue. Why? Because it also became one. For the issue, AI-Writer decided on the articles that humans would write based on trending topics. "It basically was a digital version of me," joked Norman Tan, Chief Editor of Esquire Singapore on the latest The Bite podcast. Esquire Magazine Singapore is one of first in the world to debut AI-written articles for a print magazine. But writing articles and becoming an internationally-recognized sports pundit seems thousands of miles apart. That's where AI-Communicator comes in. 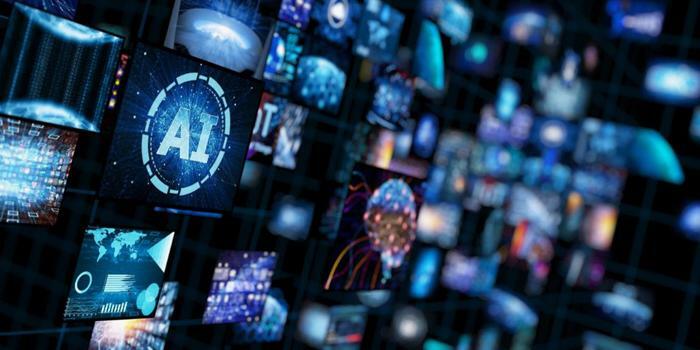 Using AI-Communicator, a brand can use its talent and brand ambassadors content library to create video and audio messages that are tailored to fans. Using direct integration to an IQ-Sports Solution on Snowflake, AI-Communicator can create thousands, millions of videos using the first names or volunteered nicknames to wish them a happy birthday on the actual day. These messages can be emailed, SMS'd, or sent via the social media platform they prefer. A brand can even personalize the message with specific details based on fan volunteered data and put it in their preferred language using subtitles. AI-Communicator is already branching out from sports and dabbling in politics. It is being positioned for the upcoming United States 2020 election as politicians on both sides – Democratic and Republican – are readying personal messages to potential voters. But with the AI content services above, there is also some apprehension. If you as the owner of the brand can create AI content – written, audio, and video – can’t others? Especially those who mean you harm. And the answer, sadly, is yes. Wikipedia describes Deep Fake as, "The combination of existing and source videos with Artificial Intelligence to depict a person or persons saying things or performing actions that never occurred in reality." AI-Signature, using a new technology from San Francisco startup Blocksigned, uses blockchain in a proof of work that AI content is indeed approved from the human or humans depicted in a video, the voice that is used in a podcast, or the content posted on a website. More importantly, the technology allows for royalty payments, licensing contracts to piggyback on top of this authentication at creation service. Other add-on services include true analytics about the honest value of views, social platforms that share it instead of having to rely on third-party tools to sell the data before you as a person, brand, or agency know what’s going on. Is this AI tool suite the first battle humans have lost to machines? With these tools, writers and content creators have been given back time. AI-Writer’s Langer said he created a technology that doesn't waste it. "Being German," he pauses before going on, "I know something about efficiency." Procrastination has always been the crutch of writers. Scheduling has always been the pain point of producers and commercial filmmakers getting all talent in the same room when they want to update content based on a new trend. And in a world of fake news, it's important to know if what you are reading, listening, and watching is truly a reflection of the person it represents. With humans having the final say on what gets published, streamed, and put out there from AI around sports branding, political beliefs of a candidate, or conveying a last minute sale on sports branded clothing, humans get more time to be human. Have face to face conversations. Also let fans know that they are appreciated. That after the email from your parents, the next email you get to wish you a Happy Birthday is from Ronaldo himself. So the first battle humans have to fight is not with machines, it's with the humans themselves who support the opposing sports team. "The main thing to do is relax and let your talent do the work."